Being a fantasy series, The Witcher has a lot of beautiful, almost mystical, locations. While the series is very grounded in Eastern European folklore, it does have some settings and places that you'd be hard pressed in trying to recreate. But for its upcoming TV adaptation, Netflix is faced with that very challenge. However, judging by a new photo leaked from the show's set, it looks like it's nailing the responsibility and then some. As you may know, the show has been doing the bulk of its filming in Hungary, where many shows and movies film, especially of the fantasy variety. Unfortunately, there hasn't been a ton of leaks from filming in Hungary, or at least not like there has been for the brief periods where Netflix was shooting in Spain and Poland. 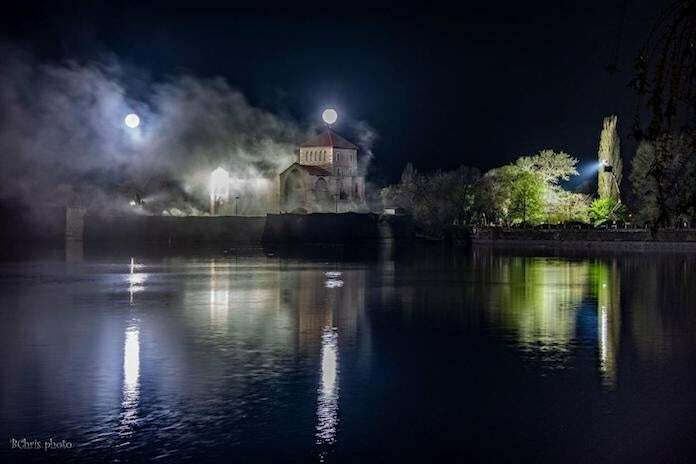 However, Hungarian site Kemma has gone up with a new set photo that features a beautiful castle, two moons, and what looks like either smoke or heavy mist. Of course, this isn't the first beautiful castle the show has filmed at, and it likely won't be the last. Just last month, the show was filming at the Vajdahunyad Castle in Budapest. Given the series' fantasy setting, you'd expect shots like this, but it's good to see that Netflix still isn't cutting any corners and is moving around in order to get the right locations as they recreate the series' magical world. 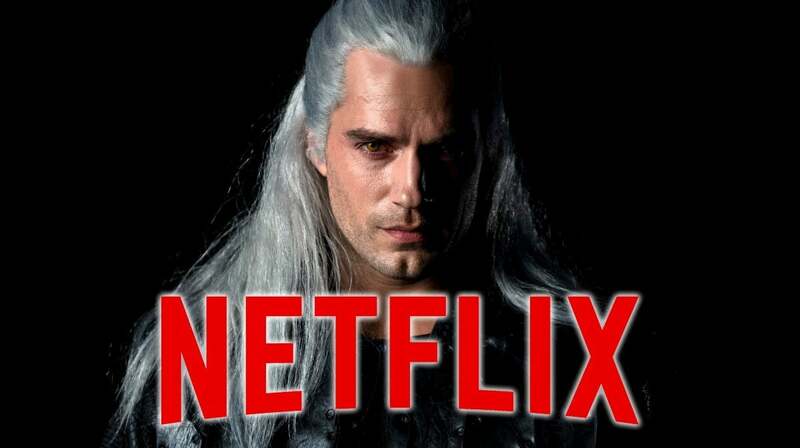 The Witcher is poised to debut on Netflix sometime later this year. At the moment of publishing, there's been no word of when it will release, but we do know it will be via an eight-episode run. Further, Netflix still hasn't released the show's debut trailer, but with filming wrapping up in a couple of months, that should change soon. For more news, media, and information on the highly-anticipated show, be sure to peep all of our previous coverage of the title by clicking right here. And, as always, feel free to leave a comment letting us know what you think or hit me up on Twitter @Tyler_Fischer_ and let me know there.